Do your feet sometimes feel cold? Do you sometimes get tired of standing all day? Do your feet need to relax and feel free? We offer you a specially designed, down-filled and wonderfully cozy slippers which will give your feet the rest and the warmth they are asking for. We really must look after our feet which are, after all, such a focal part of our body. Comfortable feet mean happiness all over. 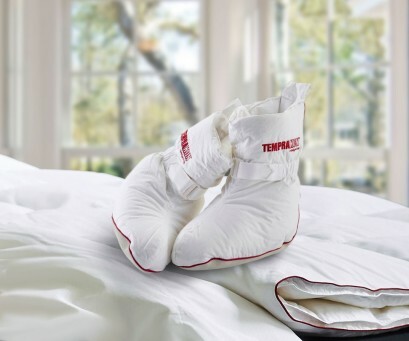 Thanks to the thermo-regulating fabric we have used in the fabrication of these unique slippers, your feet will not sweat and will always retain the optimum temperature. Duvet Slippers There are 2 products.